Motherwell frequently revised his works, some over long periods of time, and some after they were reproduced in publications or exhibited. One of the most complicated histories of reworking involved Elegy to the Spanish Republic No. 132, which was repainted several times both before and after being exhibited. Begun in 1975, this painting was originally based on the composition of an earlier, small-scale work, Spanish Elegy with Orange No. 3 but it subsequently underwent a number of permutations and revisions that lasted from the mid-1970s well into the next decade. Spanish Elegy with Orange No. 3, 1944. Acrylic and graphite on canvas board, 8 x 10 in. 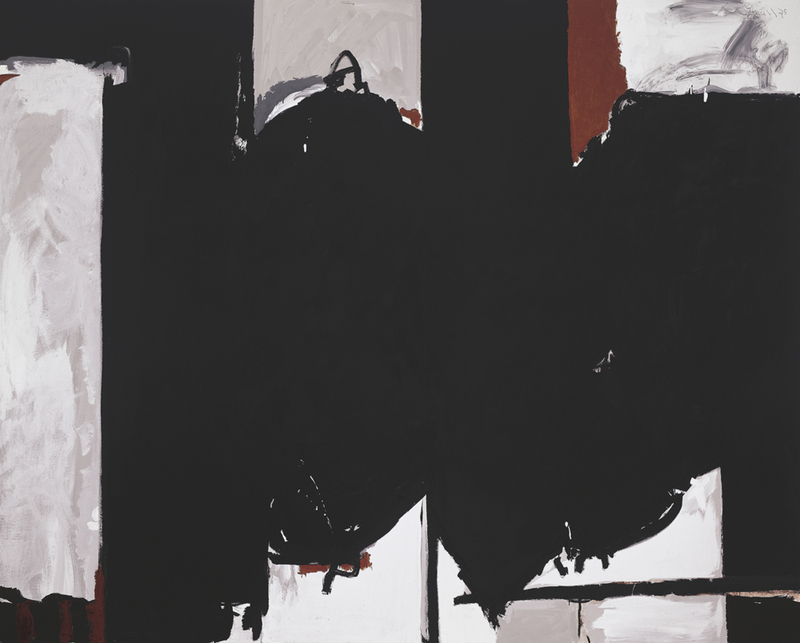 In its very first version, it contained areas of orange, like the small picture on which it was modeled, but Motherwell repainted it entirely in black and white shortly afterward, and it was photographed on September 19, 1975. He made significant revisions soon after this, and it looked quite different when it was photographed again on October 27, 1975. He made major revisions again before it was photographed on February 10, 1976. 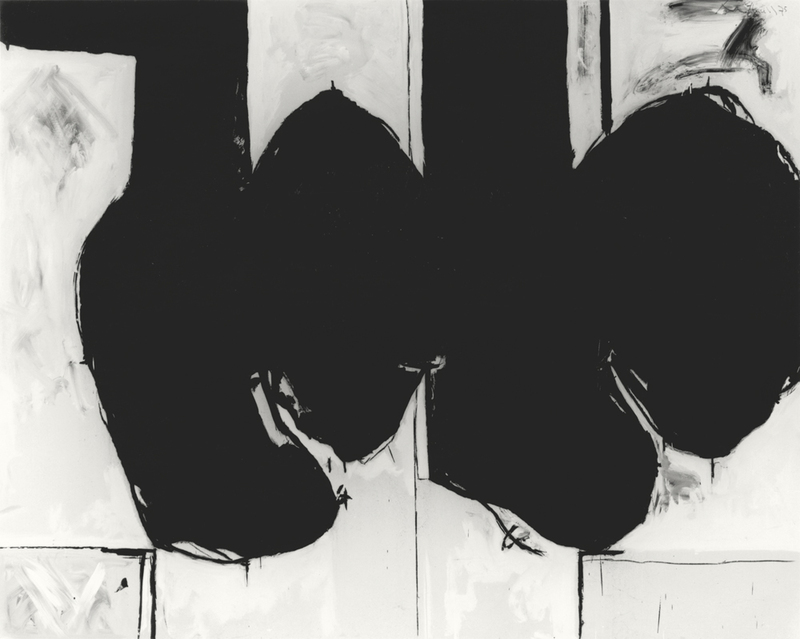 It was revised yet again before it was shown at his 1977 retrospective exhibitions in Paris and Edinburgh. 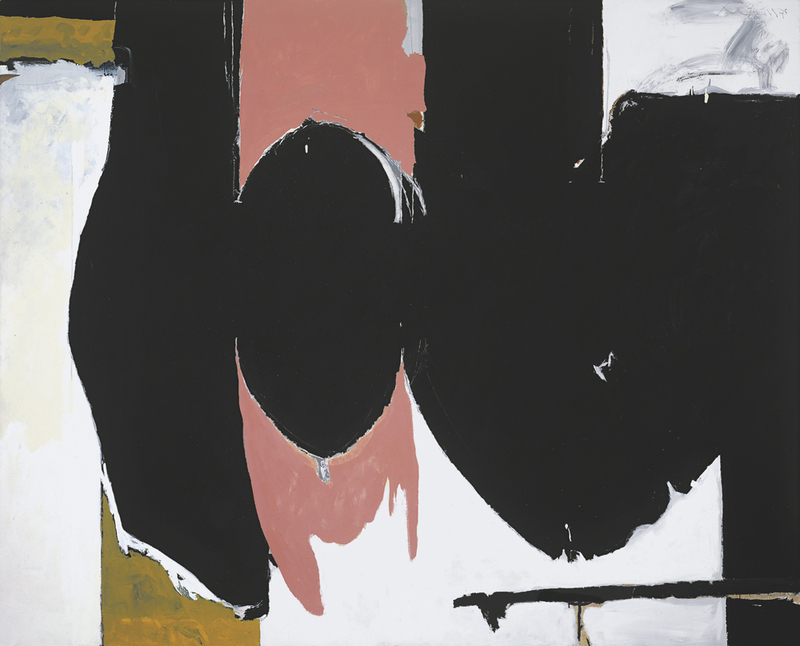 In 1982 Motherwell reworked it again, adding large areas of pink and yellow ochre, before it was shown at his 1983 retrospective at the Albright-Knox Art Gallery, where it was reproduced in the catalogue. After it was returned to him in 1985, he revised it yet again, painting over the pink areas with ochre as you can see in the final image. 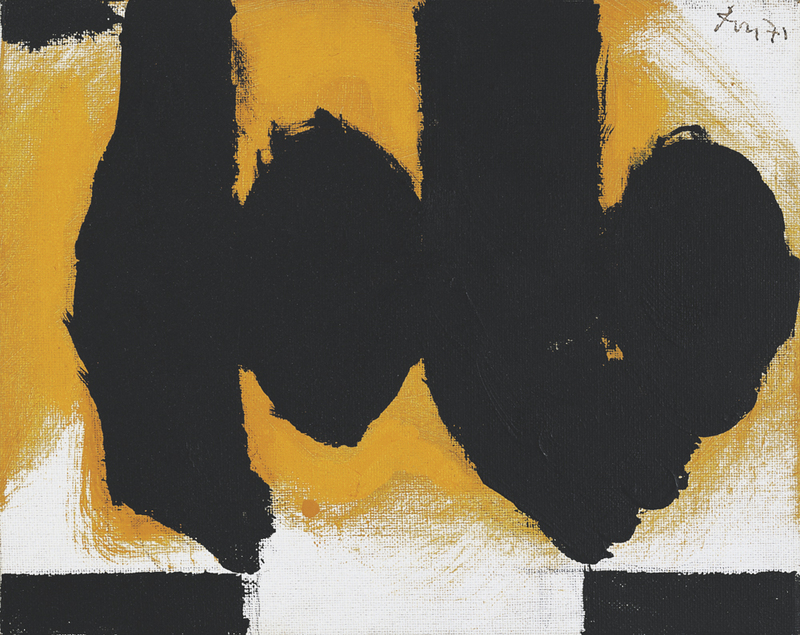 In many cases, it is difficult to say exactly what prompted Motherwell to rework a given picture at a certain time. It was not simply a matter of “perfectionism,” since he himself accepted as a kind of philosophical truth that a work of art could never be perfect. The most surprising thing is how many pictures he revised—mostly paintings on canvas and panel, but also collages and paintings on paper— and also how many times he chose to repaint a picture when it would have seemed easier simply to start a new one, and how much time and effort he gave to the revision of both important and minor pictures. It was as if he was constantly trying to find, redefine, and find again an elusive reality not only within the world, but within himself. 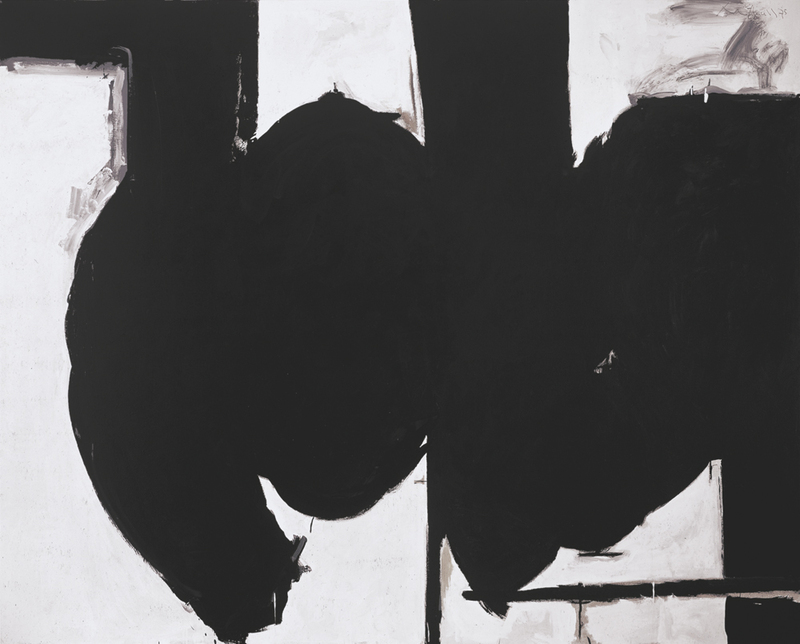 Note: This blog post was adapted from the Robert Motherwell Catalogue Raisonné.